Atari is in the house! 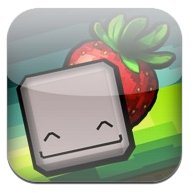 Michael Manna looks at I Love Strawberries from Atari for the iOS! Listen to the show here, and get it FREE in iTunes! This entry was posted in AppMinute Podcast and tagged in Atari, I Love Strawberries, iOS, Michael Manna.